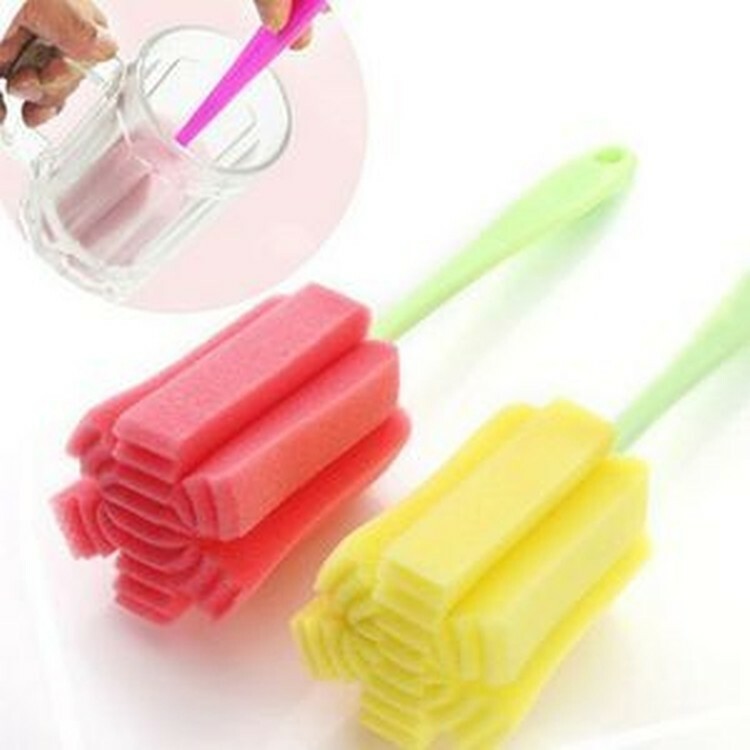 Kitchen sponge brush with a longer handle, it is easy to clean the bottom of the cup. Can be used for milk bottles, coffee cups, drinking glasses, or other small bottles and jars. 11.42 " X 2.36 "